A centerpiece of each restaurant location in north Raleigh and Cary is the gas-fired dome oven. We bake fresh whole wheat pita on-site as well as oven-baked specialty pizzettes. We prepare many of our sandwiches with Neomonde brand pita and also sell it by the package in our market section. As one of the original founders and bakers at the Neomonde Baking Company, restaurant owner, Mounir Saleh, has a personal attachment to the pita. Gourmet sweets that we bake daily are our homemade cookies and brownies. These gourmet sweets may be purchased by the piece or on a party platter for your special event. Displayed in the dessert case are a selection of Mediterranean sweets. These fresh and delicious pastries include the very popular walnut, pistachio, and chocolate baklavas which are made with layers of baked fillo dough and a light syrup for flavor. Also available are namoura, lady fingers, burma, and mamoul. Many of the Mediterranean sweets contain nuts, so please refer to a staff member if you have a nut allergy. We also carry a variety of gluten-free desserts baked by JP’s Pastry such as cupcakes, cake by the slice and dessert bars. Gluten-free pita from the local Mediterranean Deli is available in the market or as an option for sandwiches. When you enter the Raleigh location of Sassool, you can’t help but notice the market section with its extensive variety of specialty groceries. 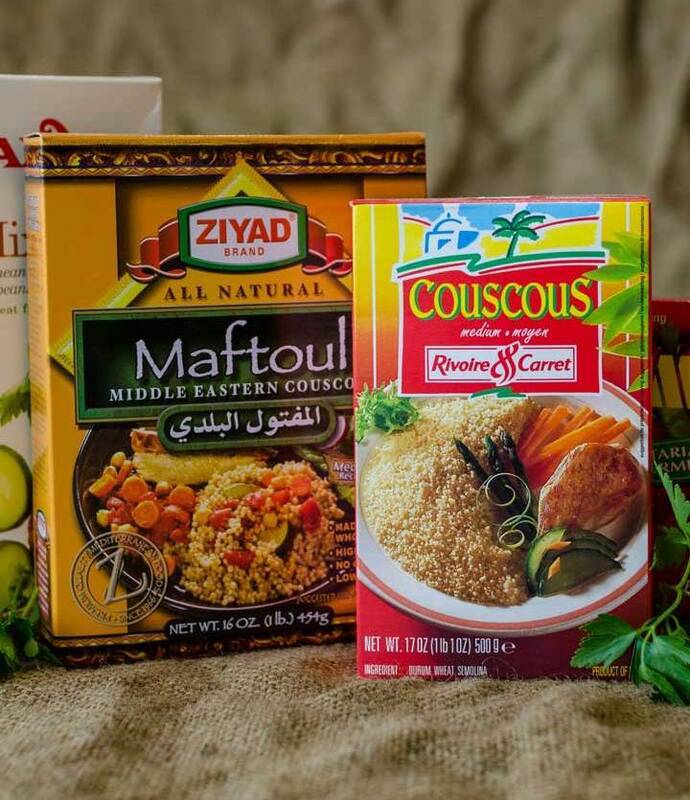 The assortment of Mediterranean staples that we stock in our market are also used in many of our recipes that we make in our restaurant. Recently, a small market section was opened at the Cary location, as part of an expansion project which also included more dining tables and chairs. “If people like the food in the deli or want to make their favorite menu item at home, many of the essential ingredients may be found in the grocery aisles,” says Mounir. 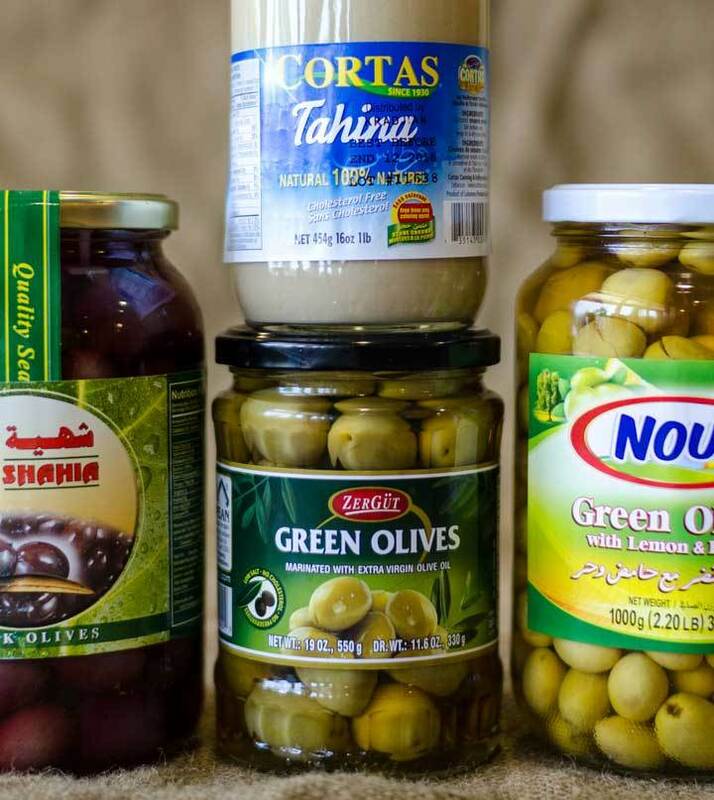 The specialty groceries include yogurt and cheeses, frozen foods, olive oil, tahini, beans, pasta, coffee, tea, cookies and candies. 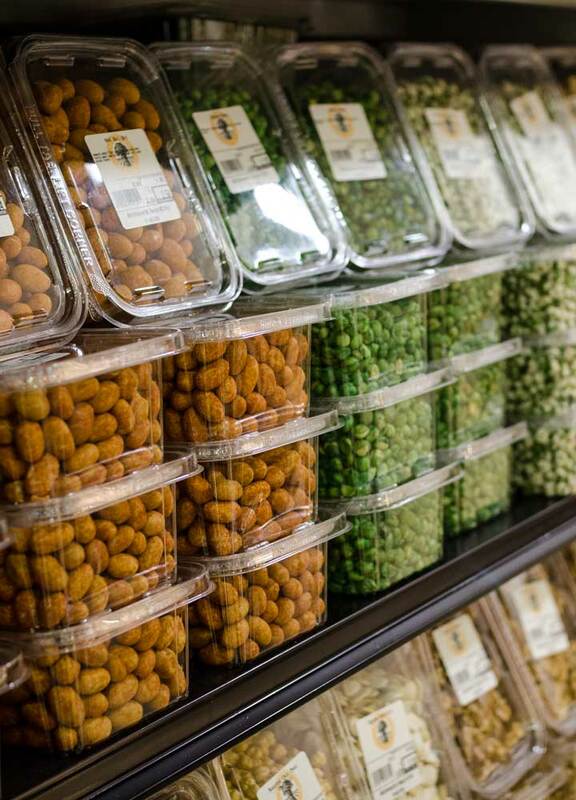 We offer olives by the pound in a self-serve olive bar. Dried fruits, assorted nuts and seeds, and spices are received in bulk and packaged and sold by the pound in the market. If you live out of town and you wish to have a Mediterranean item, please check with us to see if we have it. We can ship packages by UPS.